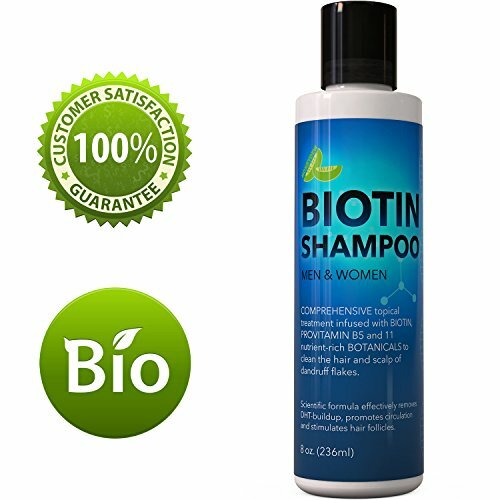 NATURAL BIOTIN SHAMPOO This maximum strength hair loss prevention and remedy shampoo contains biotin in addition to provitamin B5 zinc coconut oil and several other nutrient rich botanicals. 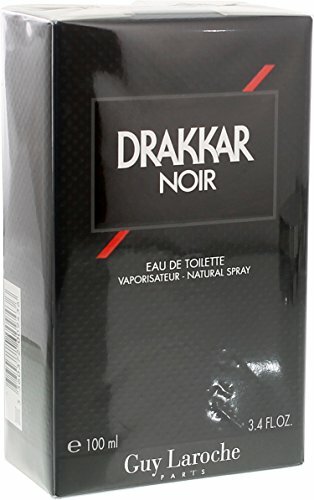 This blend works to remove DHT buildup and clean the scalp and hair of dandruff flakes and scales. 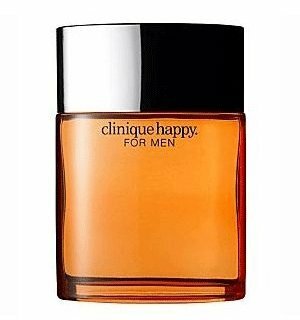 This stimulates hair follicles and promotes circulation to encourage healthy hair growth. 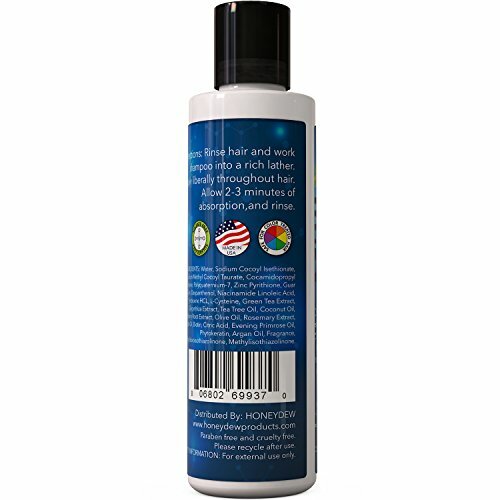 Healthy hair comes from a healthy scalp and this comprehensive topical remedy encourages thick and shiny hair. 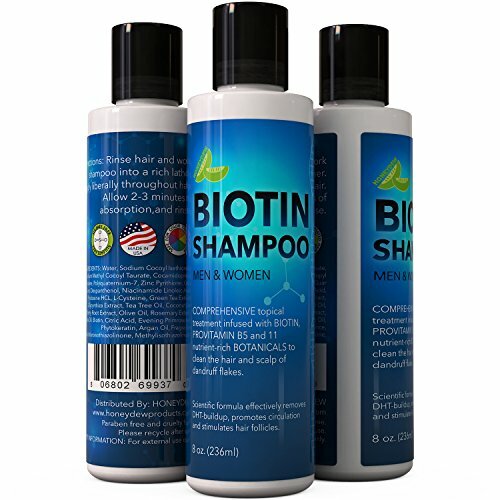 PROMOTES HAIR GROWTH AND SLOWS HAIR LOSS Key ingredient biotin effectively slows hair shedding and promotes thicker and fuller hair. 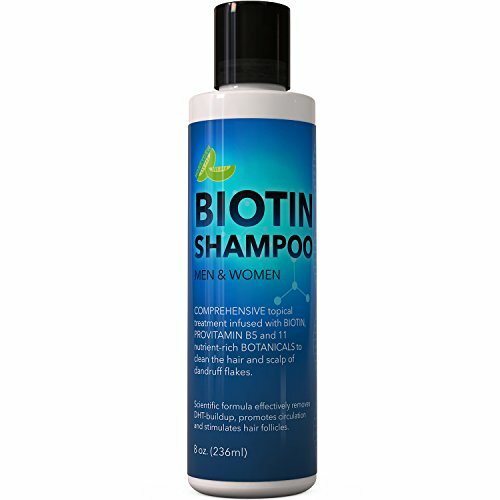 This extra strength b-complex shampoo nourishes the hair follicle from root to tip. This results in improved hair growth unbelievable body and renewed and rejuvenated hair. 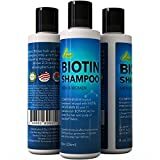 This high grade thickening shampoo cleans the scalp of DHT which is one of main causes of thinning hair which leads to reduced shedding and in the end thicker and denser hair. ALL NATURAL INGREDIENTS this bestselling growth promoting shampoo contains 11 of nature’s finest herbs and oils such as Rosemary extract green tea extract mulberry root extract evening primrose oil phytokeratin and argan oil which clean and balance the scalp, whilst promoting hair growth for the long shiny and strong hair of your dreams.This scientific formula is suitable for all hair types including thick fine and normal density hair in addition to straight wavy curly African American hair textures. WE ARE PROUD TO SAY that our shampoo is non-GMO and GMP certified. 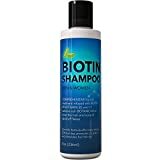 Additionally it is hypoallergenic, sulfate free and paraben free providing the safest and most natural therapeutic biotin shampoo available on the market! 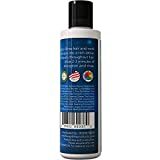 It works great with other hair conditioners and hair products. Whether you have oily, frizzy or dry hair our moisture keep watch over shampoo will make you and your hair look and feel amazing! 100% MONEY BACK GUARANTEE – We are in the business of happy hair and happy customers. We wish you to be completely satisfied with our shampoo that’s why our dry hair remedy shampoo is backed by our money back guarantee!